PARIS --- Just days after France and Germany signed a treaty in which they agree “to develop a common approach to arms exports with regard to joint projects,” the German government has blocked the sale of Meteor air-to-air missiles to Saudi Arabia. The Meteor, developed and produced by Paris-based MBDA but with German components, is not the target of a specific German veto, but rather its export to Saudi Arabia is being blocked by the German government’s embargo on all arms sales to the desert kingdom, decided in late November. An MBDA spokesman this morning would neither confirm nor deny the veto. The German embassy in Paris, which is closely involved in bilateral negotiations on joint arms exports, said "Regarding arms exports, the German government only provides information on those agreements that have been finalized," and declined further comment. BAE Systems is negotiating the sale of 48 additional Typhoons to Saudi, including for the first time Meteor long-range, ramjet-powered air-to-air missiles that the Saudis also plan to retrofit to their earlier Typhoon batches as well as, possibly, to their US-manufactured Boeing F-15 fighters. 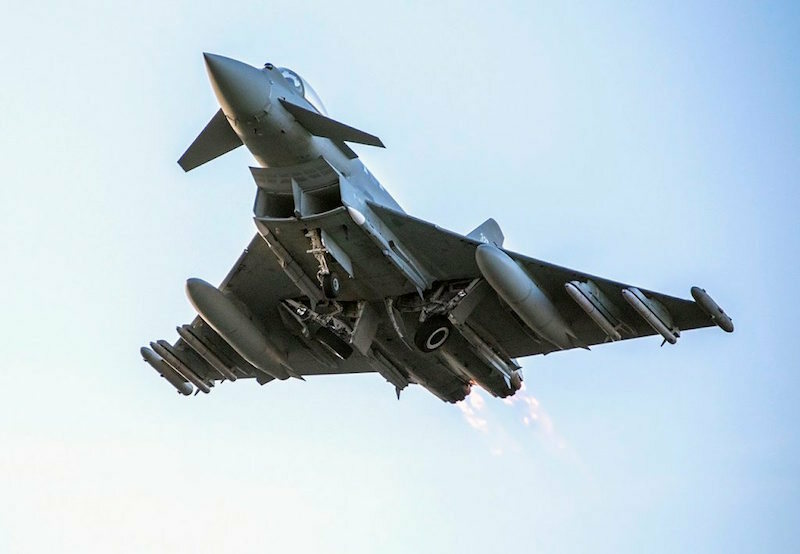 This is the second time that MBDA export contracts have been hit by third-party embargoes, as the sale of a second batch of Dassault Rafale fighters to Egypt was blocked by the United States because the MBDA Scalp that Egypt wanted includes a small number of US-made parts. At the French government’s request, MBDA is now developing a French source for these parts, so as to escape further obstacles. A German veto, however, is impossible to sidestep as a large proportion of French weapon systems are developed jointly with Germany, and the proportion of German, components is too high to replace. "For joint armaments projects, we need to agree restrictive rules with France for future exports, otherwise Germany cannot participate in such cooperation," the SPD spokesman for defense issues, Thomas Hitschler, said in the lead-up to the French-German Treaty of Aachen, signed last week in that German city. France, on the other hand, wants Germany to drop export controls on the weapons that it develops and produces with European allies, but this is clearly not on the cards. Beyond the technical and financial issues, this is probably the most urgent aspect of French-German weapons cooperation that the two must clearly agree before launching their ambitious range of next-generation weapons. -- Feb 6, 2019 @ 8:30 CET: added comment from the Germany embassy in Paris.